I just adore this over-sized tote from McCall’s (M6256), it holds ALL my sewing stuff to transport back and forth from the City to the Homestead. This was easy to put together from fabrics that I rummaged from the remnant bin at my fav fabric shop. I also have lots of half-used and/or open packages of bindings, trims, interfacing, quilting supplies, etc. so all told, this project was less than $30.00 to make. The pattern comes with lots of little different sized utility cases but I just made the small case to hold my spools of thread. 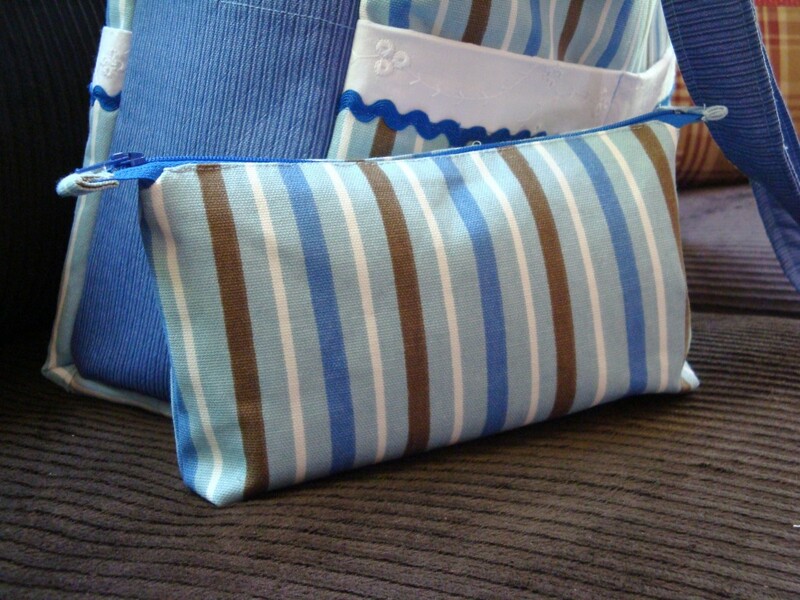 The outside and lined inside are ringed with pockets too, so plenty of space to hold fabric bundles and other implements. 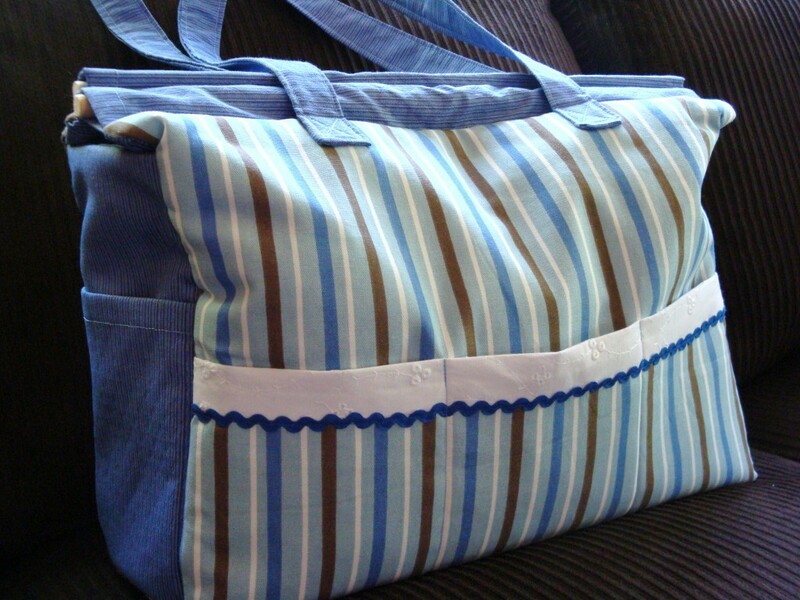 I highly recommend this type of project for those that travel and need to take their sewing tools along. Now I just sling it over my shoulder and tote it from the car to the homestead whenever I have a project to get done. Which is just about all the time!